We are pleased to announce some incredible special events such as workshops, tours and social events happening at the Concordia Greenhouse this summer! Check out details below, or get in touch at concordiagreenhouseatrium@gmail.com! Create your own living necklace in the greenhouse! Make a tiny terrarium with moss and stones to wear around your neck. Easy and all ages. $5 for materials. Limit 15. From Moss Graffiti, to seed bombs to Street Repairs – come and learn about creative and non-toxic ways to create sustainable street art in the urban landscape. Free. Plants are among the organisms of this world that cannot get up and move if they grow in a place that is not optimal for their survival. So, over the course of evolution, the plant kingdom has developed a plethora of ingenious forms of reproduction to be able to “walk” about in case of need. In this workshop we will be exploring how as urban plant lovers we can employ some of these techniques to further populate the city with plants by multiplying them for ourselves and our loved ones. In so doing, we will also be learning how to keep your houseplants healthy and pruned, and we’ll explore some basics of plant anatomy to help you make informed decisions when your plants go under the knife. Finally, you will be getting some hands-on experience propagating a few of the easiest, basic species, and we’ll have demonstrations of a few techniques in progress so you can see what it looks like. School is back in session, and the greenhouse has opened it’s doors once again! Whether this is your first time in the greenhouse or not, we welcome you to come and join us for our annual open house social. Try one our our homegrown teas in our Atrium Tea Kitchen, or taste our veggies from our City Farm School Program. Take a peek at our projects – Aquaponics, houseplant propagation, Microgreens and more!and meet with our greenhouse collective who will be available to answer your questions about our projects! This exercise consists of spending 5 minutes talking to a series of strangers. With the goal of breaking down social barriers, this community-building event allows participants to meet others randomly, regardless of age, race, sexuality and all those pesky ISMs that prevent us from talking to one another. Strangers seem a lot less strange and intimidating once you`ve spent 5 minutes talking to them. This event is open to francophones, anglophones, allophones, but not telephones. If you miss our open house on Monday, September 9th, you’ll have another great opportunity to tour the greenhouse and sample some of our local organically grown tea as well as fresh produce from our Loyola farm! 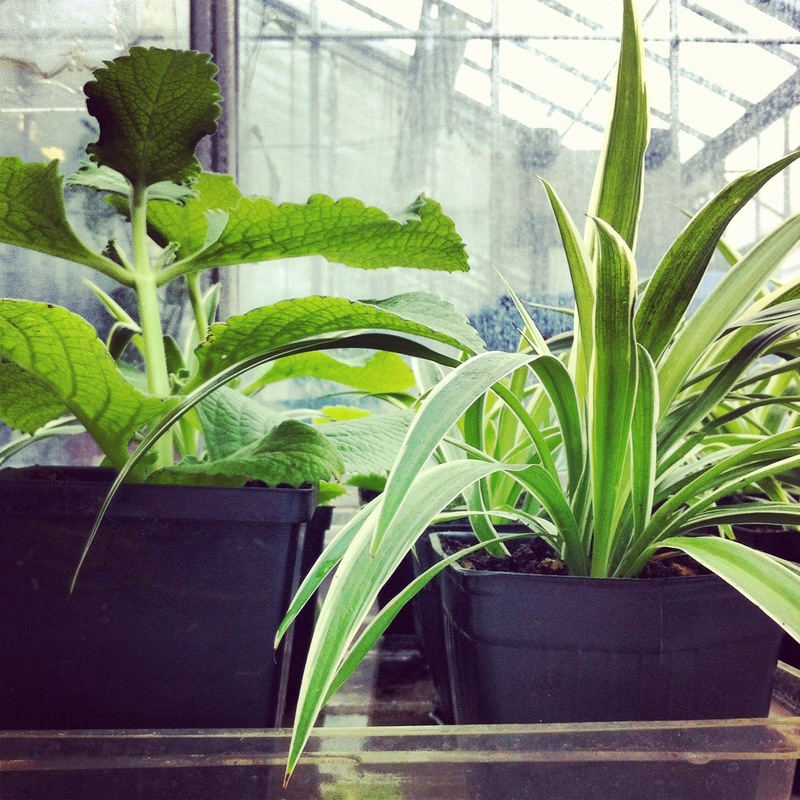 Come buy some Winter-friendly houseplants and herbs at our annual Fall House plant Sale! Previous PostThe Greenhouse is Re-Opening for the School year!Next PostThis Week at the GREENHOUSE!